Congratulations to Prof. Ernesto Kahan for being honoured by Argentina by naming The International Congress of Eco-Poetry now going on in Pehuajo, Buenos Aires after his name. Till today, he never tell me whats it being called but I suppossed it must be Ernesto Kahan International Congress of Eco-Poetry. Claire Wang Lee and few friends from The World Congress of Poets fraternity when told about this all said congratulations and proud of you Ernesto! We are very happy and I shared Claire's words ' At last Argentina is doing the right thing honouring a good poet like you'. Long live Ernesto Kahan and may you be another world famous Argentina sons like Diego Maradona and Lionel Messi!! I can imagine you blushing when reading this. But dear Ernesto, you really deserved it! Have a good congress and happy holidays to you. 7th MARCH 2015 – 10AM. 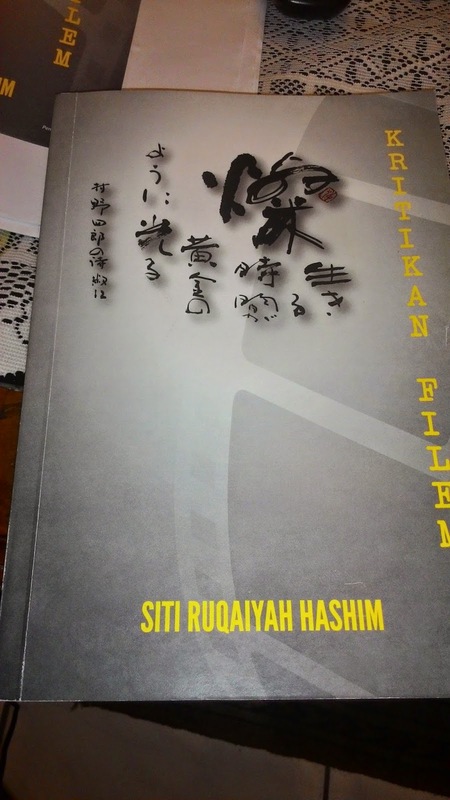 Siti Ruqaiyah Hashim (SRH) is a free lance writer based in Kuala Lumpur, Malaysia. Father of Peace Studies started Peace Research Institute Oslo or PRIO in 1959. It’s the world first Peace Studies Institute formed. Since then, more than 500 Peace Studies centres and schools in universities all over the world established and many of them were with his initiatives and advises . In 1993 he founded TRANSCEND Peace University world’s first online Peace Studies University. Together with it, he founded TRANSCEND International which is a global network for Peace, Development and Environment engaged in mediations and researches on peace making and conflicts solving all over the world. said in Radio Democracy Now (USA) interview few years ago, “ I love the American Republic. But I hate the US Empire. “ talked to this writer few days before Perdana Global Peace Foundation’s (PGPF) recent International Conference on The New World Order A Recipe For War or Peace! His latest research and book Abolishing War and Clash of Culture were launched during the conference. Islamic International University Malaysia (IIUM) and his tenure ended after the International Conference. 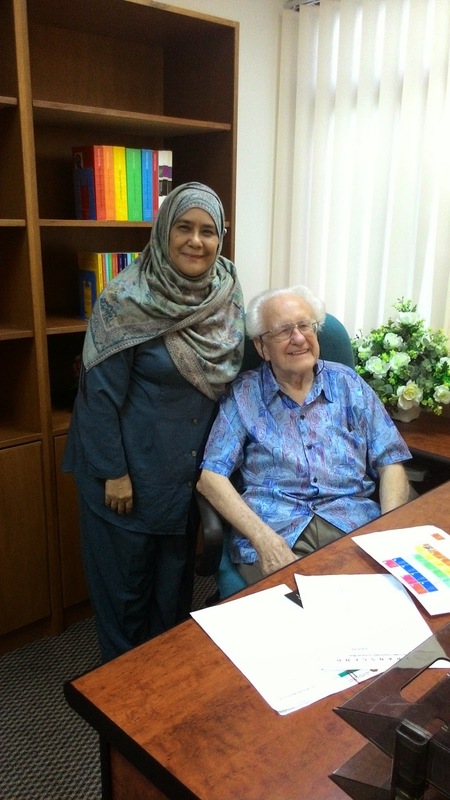 SRH: Prof Johan, Please tell me more about your being in Malaysia since a year ago and what have you been doing? Prof. JG: I am known as The Father of Peace Studies and maybe by now Grand father or great grand father of Peace Studies. Prof. JG: Its not the question of what I had done but the fantastic waves of all over the world of Peace Studies (centres). In 1961, there is not even one peace studies school but now we have 500 all over the world. We have to educate people on conflicts solving, peace making and other related issues after so long we had glamorized war. War is bad. One is the fact that UIAM is The International Islamic University of Malaysia. And secondly, Tun Mahathir and The Perdana Global Peace Foundation-PGPF. They are asking me to do a study to criminalize war. They have a mock tribunal-basically against US and Israel (on conflicts with Palestine) particularly. And also sitting on Sunni-Shia conflicts. 3) The Art of Peace - which I just finished yesterday. At the conference on Monday these books will be handed to PGPF. So I am happy with the outcome of the researches and the books. Due to the lack of interest of the University, I cut off 1 year instead of 2 years of staying here. The last thing I worked on here was finishing 28 lectures meant for 14 weeks of one semester on Peace Studies. And it was announced to the students and only two students turned up one a Turkish another one a Sri Lankan. Not even a single Malaysian. It’s a bit strange about the reception of the people in the University. So I make the best of it. Since I’ve got no teaching work to do, I turned to writing books. I am also mediating (conflicts) all over the world in practice. From sitting in Afghanistan talking to the Taliban and contact with Al-Qaeda, contact with Boko Haram and in Turkey with all the (conflicting ) parties. I am also sitting with all the ( concerned) parties in Ukraine. You must sit down and talk (with all parties) so that all will accept (solutions of conflicts). You must mediate with all of them. SRH: What do you think of some peace movements organizations efforts especially the NGOs? Prof. JG: Some peace movements are too vague and too much talk. You can have things like United Nations of the World or Global Peace but you must do very concrete things. It needs creativity and hard work (not just talk about it). Only then it will work. It works many times that way anyway. IPPNW (International Physicians for Prevention of Nuclear War) is very good (effort) to prevent radiation from harming human’s body (and survival) but the conflicts need to be resolved. You must know about peace making, (mediating) and conflicts solving. No point bringing in a nuclear scientist (or whoever) into a (any peace) movement because you must know about (the mechanisms of ) conflict solving. You need to ask: Mr. Taliban what sort of Afghanistan you would like to see coming into if you are in power? These are the issues you must address and mediate with other groups in the conflict and find an acepted solutions by all. You need to be creative and do hard work and concrete efforts made towards solvingthe problems. SRH: You had been in Malaysia before and what do you think of this country now? 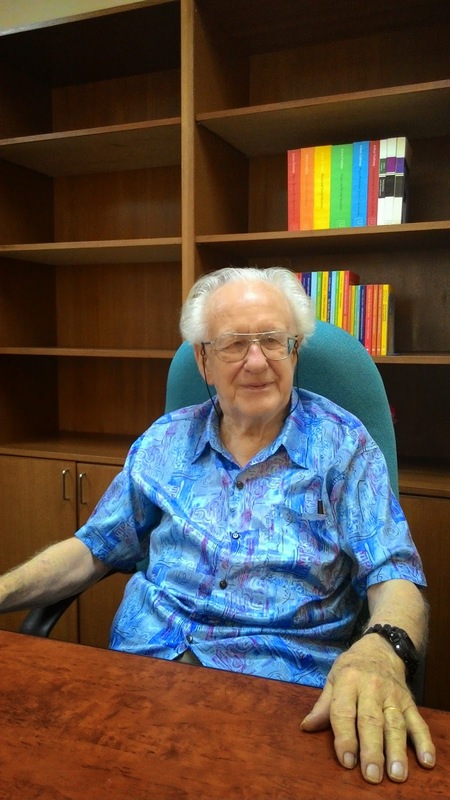 Prof. JG: I was teaching in University of Science in Penang from 1974 untill 1978 which is 5 years. I was together with Prof. Chandra Muzzafar who was also in Social Science School with me then. Malaysia was strong during Tun Mahathir’s time. He created Modern Malaysia. Modern Economy of Malaysia. SRH: About Palestine issue, how long more do you think its going to take and when will it ends? Prof. JG. Its coming to an end. Sweden already recognized (Palestine’s sovereignity). Three important parliaments , England, France and Spain are also voting for Palestine. Though its not binding to the governments (decisions), the favour is very much for Palestine. Even the EU Parliament is showing that tendency. The mood and the support is very clear for Palestine. Things are moving and its very much for Palestine. But Malaysia should do more for support to Palestine. Malaysia used the term ‘State Terrorism’ towards Israel and that is really something strong. Though I am not sure the (present) Prime Minister (of Malaysia) uses that term (also). And Obama had muted Netanyahu recently by not wanting to see him. The ICC (International Criminal Court) in this matter is also moving. If Malaysia could support more The ICC for Palestine’s (causes ) it will be good. I would say, by 2020 it ( the Palestine-Israel conflict) should be over. Maybe sooner. It will be like the South African scenario after apartheid was abolished. It will go back to normal (relationship) with the rest of the world. SRH: Malaysia had been giving a lot in humanitarian efforts towards Palestine. Prof. JG: That’s the covert operation. And its very good. But political support for Palestine need more to be done. SRH: What about the IS (Islamic States) conflicts?Aren't these issues cropping up due to reactions on US policies in Middle East? Prof. JG: There are many areas one has to look at. One aspect is what you had said just now. Secondly, that areas – Syria and Iraq had a very violent history since long ago. Since 4000 years ago during the Assyrian Empire. And from historical point of view, the Ottoman times also was a violent (era). So many hatred (and animosities) are there. But a Caliph brought peace and unification of that area. So the longing for a Caliph is still there. A Caliph who could unify and bring peace (and greatness) for the area. And the longing for a Caliphate (state) is a Muslim right that the Western cannot stand against (if achieved). George Bush (Jr) said God asked him to democratize Middle East. That’s blasphemy to me! Anybody who talked like that is not being sensical at all (and insulting) to religion. SRH: Few years back, there were accusations about you of being anti- Semitic because you said the Jews controlled US economy and media. Your comments? to exist.Is that being anti-Semitic? I defended (the rights) Israel infront of many Arab League Nations. But I insisted that (Israel) should go back to the borders of 1967. I am not prejudiced against Jews. But Wall Street is 70 % controlled by Jews. in the area (Middle East). But no one coming to the idea of recognizing Palestine. Because they don’t want solutions but expansion (that’s what they want). So a Basel (Switzerland) based Peace Institution suspended me. Though I helped to form that institution long ago. SRH: Will you come again to Malaysia? Prof. JG: If I should come to Malaysia again its because someone wants me to have a look at the conflicts. There are conflicts in Malaysia, not the issues of racisms or seditious. But conflicts. So If I am being asked to look into it, I will come again. Note: The above article is the full interview with Prof.Johan Galthung. Dijual pada harga RM38 sebuah dengan diskaun yang baik untuk pelajar IPTA atau mereka yang masih belajar dalam bidang apa juga. Selamat Membaca dan Terima Kasih. Kemanusiaan telah mengalahkan kereta kebal dan peluru berpandu! Bagaimana aku bisa melawat mu di hospital nanti? melarang aku ke negeri mu? yang semakin dekat dengan ku rupanya! How am I going to visit you in hospital? That says I cant go to your country? pemusnah tamaddun dan warisan dunia? world civilization and heritage destroyers? 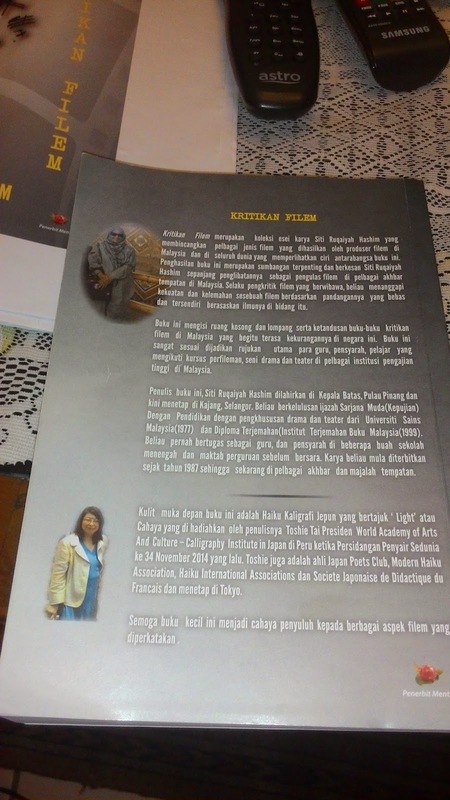 Dua malam lalu, bertempat di Institut Terjemahan Buku Malaysia Wngsa Maju diadakan malam bacaan puisi 'Ratap Qalbu' sempena pelancaran buku antologi puisi penyair luhur Sutung Umar Rs. Ramai penyair, penulis, orang teater dan petugas ITBM yang hadir termasuk penulis sendiri. Memang sesuatu yang sudah dijangkakan akan menjadi majlis bacaan puisi yang bakal diperkatakan kerana ramainya pendeklamator yang hebat dan ternama mengambil bahagian. Beberapa orang Sasterawan Negara turut hadir termasuk Dt.Baha Zain yang duduk di sebelah penulis dan Penyair Raja Aminullah Ahmad. Turut mendeklamasikan puisi kerohanian dan manifestasi seni Sutung Umar yang berfokuskan akidah, kepercayaan dan spiritualisme berasaskan Islam, ialah orang seni ternama yang tak payah diperkenalkan seperti U Wei Hj Shaari, Sani Sudin, Rosnan Rahman, Rahimidin Zahari, Sofea Jane, Melisa Saila, Sabri Yunus dll. JUga pendeklamator dan penulis tidak terkenal serta seniman kecil yang sedang mencipta nama. Pernah sekali, Sutung menghantar balik sebuah cerpen sebanyak tiga kali kepada penulis dan menyuruh betulkan tanpa memberitahu apa yang perlu dibetulkan! Penulis naik pening dan geram juga dan berkata kepada dia,'....buang saja lah dalam tong sampah kalau tak bagus!' Dengan tenang Sutung menjawab' Cerpen tu cukup bagus, kalau orang lain yang tulis aku dah ambik. Tapi aku tahu kau boleh tulis lebih bagus dari tu, sebab tu aku tak nak buang, dan nak kau betulkan! 'Penulis terdiam dan tak jadi marah dan mengambil semula cerpen tersebut dan 'memeramnya ' untuk beberapa minggu dan menulis semula bahagian tertentu hingga puas hati. Itulah pelajaran paling besar dan bermakna bagi penulis dan sehingga ke hari ini, saya tak kisah tentang kuantiti penulisan, tetapi kualiti karya yang lebih penting. Beberapa kali (2-3 kali), artikel penulis yang dah di hantar dan di terima untuk diterbitkan oleh editor surat khabar, penulis ambil balik kerana rasa bersalah dan tak mau beri kerja sub-standard walau pun editor kata dah cukup baik! Tapi penulis tak boleh berkompromi walau pun dengan diri sendiri dalam bab-bab ini. Dan paling penting, mesti jujur bila menulis walau pun orang tak tau kita telah berlaku jujur atau pun tidak. Tabik saya kepada Sutung Umar RS 'guru' yang melahirkan saya sebagai seorang penulis. Semoga Allah memberikan beliau keberkatan dan kesejahteraan di dunia dan akhirat dan kesihatan yang baik. Jasa beliau kepada saya akan dikenang sampai bila-bila.